Congress passed the Lanham Act in 1946 to provide a national registration and protection system for Trademarks. Trademarks are words, symbols or other devices that serve to identify the source of a producer’s goods and services and to distinguish the goods and services of one producer from the goods and services of another. Trademark law serves two basic functions, the protection of consumers and the protection of trademark owners. On the one hand, consumers should be able to rely on brand identifiers to allow them to purchase the products and services they intend to purchase. As a result, trademark law is designed to minimize the risk to consumers that they are likely to be confused or deceived about the source of a good or service available to them. On the other hand, trademark law is designed to protect a trademark owner’s investment of time, energy and money into the goodwill generated by their branding and marketing efforts by preventing competitors from using the same brand identifiers. Trademark rights are said to arise out of use, that is to say, that registration is not a necessary prerequisite to enforcing a trademark. However, registration provides a number of key advantages. First, Federal registration gives the owner of a trademark the right to exclusive nationwide use of the mark on their goods or services. 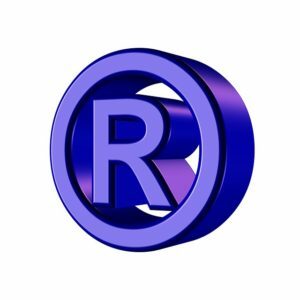 Since trademark rights are based upon use, state common law will typically only provide a trademark owner with the right to use their mark in the specific geographic areas in which the mark has actually been used. Federal registration will also prevent a competitor from registering the same or a similar mark in conjunction with the same goods and services specified in the registration. Federal registration also carries with it certain presumptions, i.e., there are certain issues that a trademark owner would not need to prove if they were asserting their trademark rights against an accused infringer in Court. For example, federal registration provides the presumption of validity in judicial proceedings. As a result, the trademark owner does not have to prove the trademark they are trying to protect is eligible for protection. Similarly, federal registration gives you the presumption of ownership as well so the mark owner need not prove the mark is theirs to use either. Additionally, federal registration provides the presumption that the mark owner has the exclusive right to use the mark in conjunction with the sale of the goods and/or the services specified in the registration. Still, it is possible for another party to challenge these presumptions in legal proceedings. However, after a registered mark has been in continuous use for five or more years it becomes incontestable. As a result, the presumptions are no longer just presumptions, i.e., the registration is conclusive evidence that the registered mark is valid, that the registered owner is the owner of the mark and that they have the exclusive right to use the mark in commerce in connection with the goods and/or services specified in the registration. In addition, since the Lanham Act is a federal statute, federal registration allows the trademark owner to file suit in Federal Court. Federal Court jurisdiction can be very important to resolving a complex business case as Federal judges may see more of these cases than most judges at the county level do. In addition, Federal Courts are available to out of state litigants who might otherwise get “home cooked” in a foreign jurisdiction. Furthermore, the Lanham Act provides for enhanced damages for willful infringement. In other words, when you can prove an accused infringer knowingly that their actions are infringing your trademark rights and they continue in their course of conduct, the trademark owner can apply for increased damages. Last but certainly not least, the Lanham Act prevents owners of federally registered trademarks from being sued in certain types of state common law actions. Trademark law is a very important part of Unfair Competition Law that is used to protect a business or individual’s investment in their brand name. Registering the mark with the United States Patent and trademark Office is a step towards securing that investment. Consult with a qualified attorney to discuss how best to protect your brand or business name.